Promotional art for Colony 9. Xenoblade Chronicles takes place on two massive gods, two titans locked in a mortal struggle between nature and machine. The world is built entirely for the story of the games, and it includes some stunning reveals. Let’s take a look at some of the most amazing places in one of the most amazing worlds in games. This is a post for TAY’s theme week. Additionally, I’ve tried to use actual screenshots, but some may be enhanced with Dolphin software. Finally, I highly recommend listening to the themes for each area as you read about them. Xenoblade starts you at the bottom of the Bionis, the titan representing natural life. Colony 9 has a killer theme and feels like home. It features three districts: a market, military base, and residential area. It’s also remarkable in how many nooks and crannies it squeezes into a (relatively) small starting area. See those towers in the image above? There’s an early world boss hidden halfway up the one on the right with a gentler slope. The city sits atop a lake and is surrounded by a massive canyon. It feels safe. As the game introduces less forgiving zones, it’s always a relief to return home to Colony 9. Unique rock formations are easy to find. Bionis Leg follows a short cave from Colony 9, and has perhaps the game’s most famous music track. It’s also the Xenoblade stage featured in Smash Bros 4. The player is guided through a tall, thin canyon, and then the world opens up to incredible scale. The part of the plain seen above is maybe a third of the overall size. There are mysterious relics, hidden villages, and gigantic monsters. The later section of the map features a gigantic lake overlooked by massive, lily pad-like rocks. It’s the area truest to Xenoblade’s goal: give the player a massive space to explore and battle in. The city of Alcamoth towers over Eryth Sea. The progression of Xenoblade generally goes from bottom to top. The two areas above are right near the beginning of the game. Eryth Sea, shown above, comes after a long journey up the Bionis. The world of Xenoblade is coated in ruins, and the villains are giant machines, but there is nothing “futuristic” in the game until Alcamoth appears. The reveal is one of the best in all of gaming and twists the whole world on its head. The humans (“Homs” in the game) have scraped together enough technology to survive, but the human-like residents of Alcamoth (the High Entia) have all sorts of advanced, fantastical technology. Neither the player or the in-game human characters have ever seen anything like it. The divergence between the two species, and that they know nothing of each other despite living only a few regions away, makes the world feel vast, dangerous, and mysterious. The sorrow in the area’s score speaks to a civilization that has left its best days in the past, and works even better when returning to the area later in the game. The world of Xenoblade is amazing, top to bottom, and it took a great deal of restraint to limit this list to three locations. The gameplay and story of Xenoblade are both effective, but the places the game takes you are what makes it truly excellent. I occasionally pick it up again just to poke around. 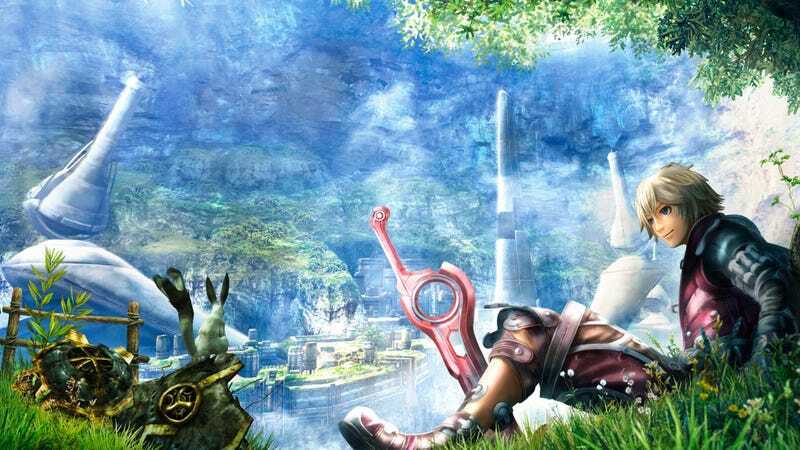 Like the many of best places in games, the world of Xenoblade Chronicles feels like home.